Stacker 2 has earned its place in the market by being one of the most affordable fat burning supplements available today. 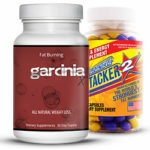 According to the fat burning supplements reviews I’ve read about Stacker 2, the Stacker formula consisted of Ephedrine, Caffeine, and Aspirin originally. These ingredients were said to be the trifecta of fat burning supplements back in the day. Stacker dropped the Ephedrine from its ingredients, and went with another thermogenic to take its place. We’ll take a closer look at Stacker 2 and figure out if it would live up to its promise. Stacker 2 is marketed as a thermogenic, an energy booster, and an appetite suppressant. Assuming that Stacker 2 lives up to its promise, its three-pronged attack to fat burning may be one of the most effective fat burning strategies today. As a thermogenic, Stacker 2 boosts metabolism and uses up extra energy stored in fat, leading your body to burn through its reserve energy resources, and effectively trimming your body down. As an energy booster, it keeps you motivated to work out, and it maintains your body’s energy levels as you slim down. Lastly, as an appetite suppressant, Stacker 2 makes you less likely to crave for sweets. At first glance, there’s nothing extraordinary about the active ingredients in a Stacker 2 Fat Burner pill. It has Caffeine and Aspirin, which could be seen quite commonly with medicine for migraine. 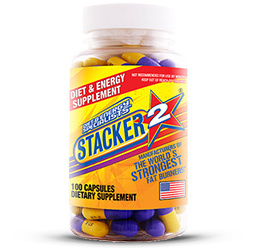 Even so, the active ingredients in Stacker 2 make for a great fat burner pill. 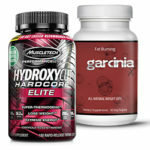 On paper, the ingredients appear to be a complete lineup to burn fat. However, with the absence of a complete concentration per dosage information, there’s no way to tell how much aspirin and caffeine it has. At this point, I’m not sure if the pricing on the Stacker 2 would help me make a decision to buy the product. Stacker 2 makes a lot of bold promises. Considering the ingredients that they put into the pill, you’d expect a higher price.